Uppertel is an app that makes life easier in difficult financial times like we're experiencing now. It's unique services offer a good alternative that will save you money on all of your calls. UpperTel is a free tool that allows you to talk on the phone without limit, as well as chat, perform video calls and many other options. Don't miss our test review where we analyze this useful tool along with its innovative software. Notice: the contacts that have UpperTel, with which you can communicated free of charge, are distinguished with a green circle. Uppertel - Call for free!!! There were no abnormalities within this app's permissions. One of the expenses that we all have when trying to make ends meet is your mobile phone. Yes, there are some very inexpensive rates available on the market and everyone can choose the one that best suits their needs, but what if we could cut down on some of this spending? This happens a lot to everyone: you'll use up more voice minutes than you've signed up for. For many who are like me, calling family who live abroad ends up being painfully expensive. Looking for good quality services with free calls is almost mission impossible. UpperTel offers a good solution for those who don't want to jump through hoops to pay excessive roaming charges or extra minutes. It's also for those who seek excellent voice and image quality. 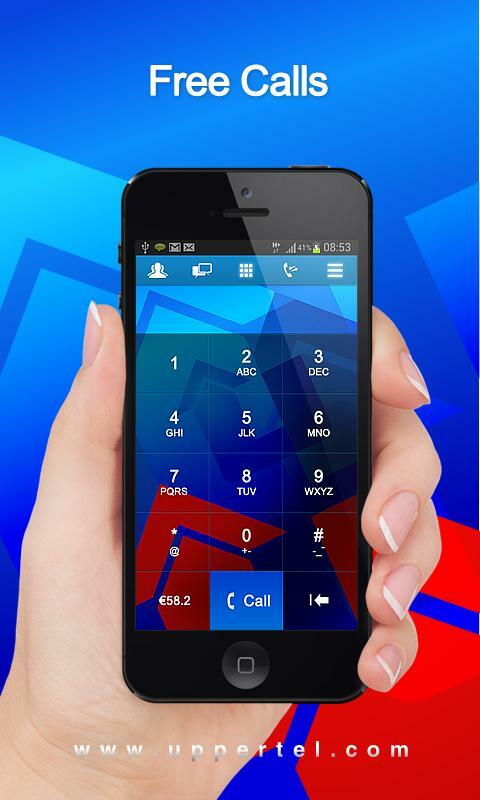 Calling with UpperTel phones is completely free and international numbers have either fixed or reduced prices. It costs only 0.039 Euros per minutes when calling mobile phones and 0.015 Euros when calling landlines. All the fees are without call establishing costs. Let's take a detailed look at how it works, as well as what advantages it has over other similar apps. When installing UpperTel, which can be downloaded from the Google Play Store or from our App Center, you will see that its usage is intuitive and clear. The tool will immediately request a phone number to activate a UpperTel account. To verify the account, they will send an SMS with the code that you'll have to input to continue. Once this is done, you can start using the application. Now you're using UpperTel and you'll be presented with a keypad with a big green button to place the call. Next to this you'll find a box where you can see your balance and the available international calling rates. This can be recharged via the Google Play store with either 5, 10 or 15 euros. Today we will focus on what we can do without paying a cent. Above the keyboard, you'll find a bar showing the many options that this application offers. There's a contact list represented by an icon of two people, a chat start button and main menu for calls, divided into three horizontal bars. UpperTel is quite new and many of you may not have come into contact with it yet. You will automatically see if you have it installed in your address book. It is distinguishable by a small green circle, which you use to make calls and free video calls, as well as send messages without spending a cent. Getting things working with UpperTel is easy, you just have to choose who you want to contact and you'll automatically be asked how: either with free calls, free chat or an SMS. The amount of people who have this app will increase, it's only a matter of time. In your personal menu, you'll be presented with three lines where you have the choice of inviting more friends. 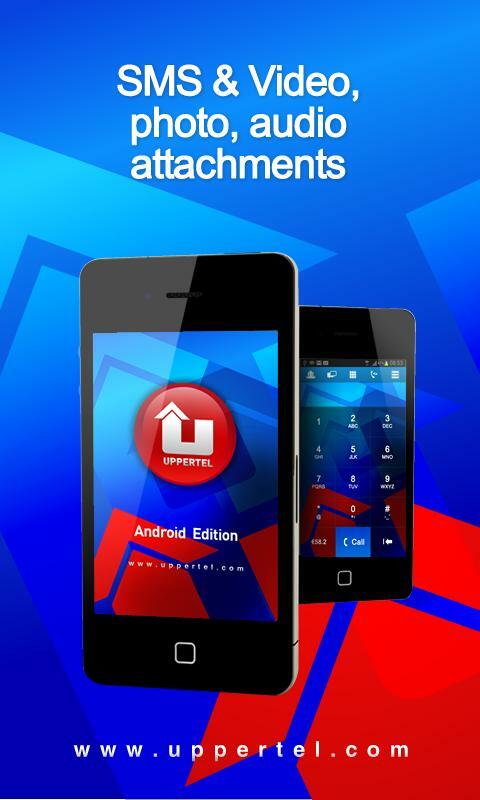 UpperTel invitations can be sent via Twitter, Facebook or text messages. Like I've already mentioned, if you place a call to a phone that has the same application, it will be free of charge (and the same applies to chat and video calls). This isn't the first app that provides this type of service. 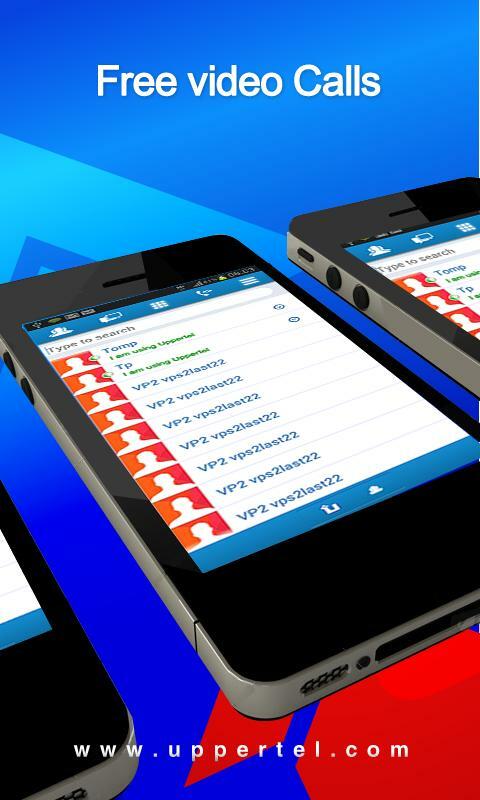 Vieber and Skype are just two examples of similar tools where you make calls using 3G and WiFi. The difference lies in the quality of how they're performed. UpperTel didn't present the same problems that some other apps have. The sound was natural, free of that horrible can sound and arrived without any delay. Both calls were made with a powerful WiFi connection and/or 3G. The voice was clear, with no echos or strange sounds or cuts. All in all, I was satisfied with the results. The HQ quality of the videos was also very good. Another function that surpasses all of its competitors is the push notifications, where the app will continue to receive messages, calls and chats even when it's closed or saving battery. It can be accessed through the settings found in the menu box. The notifications arrive in a pop-up message, although the two functions can be deactivate if desired. To top of the normal calls, there are also other optional and free functions, like a free voicemail that can be synchronized with your email account. 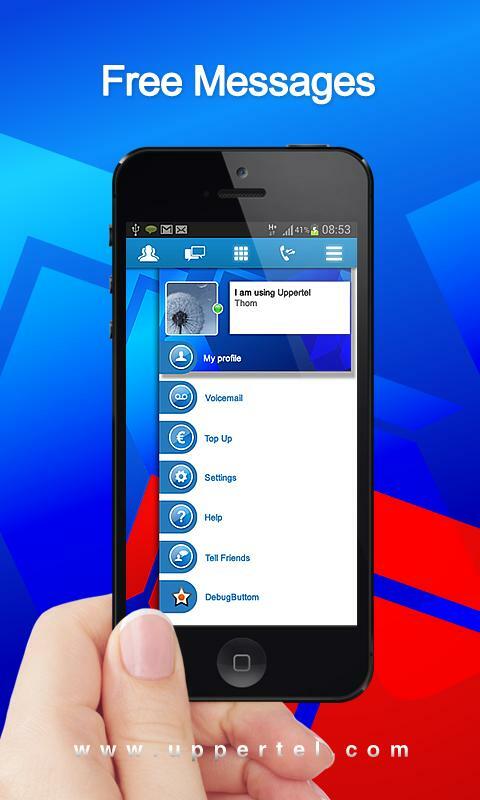 The app is called Voice Message and is also located in the main menu. You can customize your greeting, listen to messages from friends, keep old messages and synchronize your emails so that they'll be added as attachments in your inbox. UpperTel has the advantage that it's a multitasking function. For example, you can be chatting and keeping an eye on the video at the same time. You can also carry on one conversation with more than one person at a time (this is one of the most prominent new features). During the course of our test, we found that this was a very good application for making calls, sending an SMS, chatting and video calls. This is especially great if you contact mobile phones that have also installed Uppertel. The app has features that no other app on the market does. These include call forwarding, three-way-calling, multitasking and notifications. What's more, calling phones abroad is made very affordable. Uppertel's controls were simple and intuitive. All you need to do is follow the instructions and from then on it's easy to use. The call functions and icons are very clear, just like any other normal phone. The design isn't very distracting and brings you right to the point of the app. Uppertel worked well during the test. Since it works using either a 3G data network or Wifi, the quality came out really well. None of the calls cut out or were distorted. The chat was speedy and you didn't have to wait for messages. Videos calls were also very fluid and echo-free, just like with other applications. The quality will always depend on the device that you use, though I can easily say that the connection was only a couple of seconds late. Given that UpperTel is free and some of its best services don't cost money either, it deserves high marks. The rates that are provided for not included calls are very competitive. Compared to other applications, 0.015 euros + tax (with no call establishing costs) is a very good deal for international voice minutes. This application is available in the Google Play store as well as in the AndroidPIT App Center.